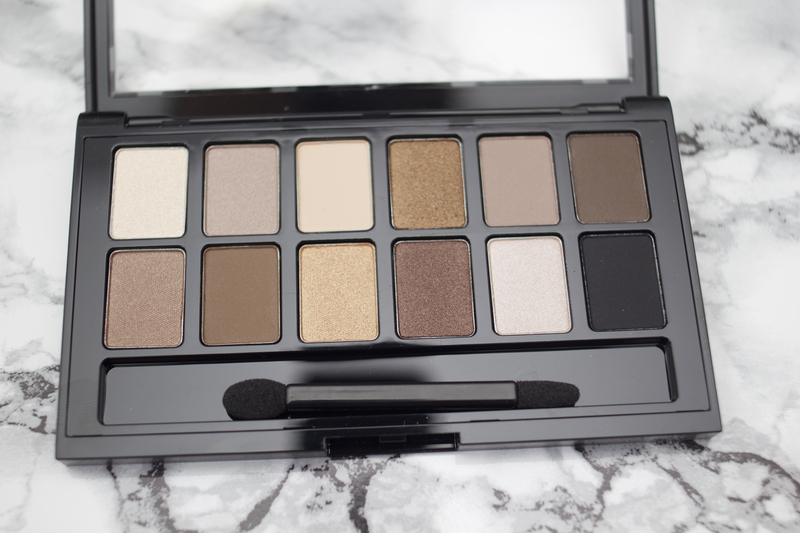 Review: The Drugstore Eyeshadow Palette You Should Seriously Consider Adding To Your Collection! Since I have started blogging, Mum has bee buying more and more makeup, now don’t get me wrong, she always used to but she now likes buying things ‘for the blog’ too! I know, she’s amazing – P.s I still have a F.O.T.D Mum edition to post, so keep your eyes out for that! 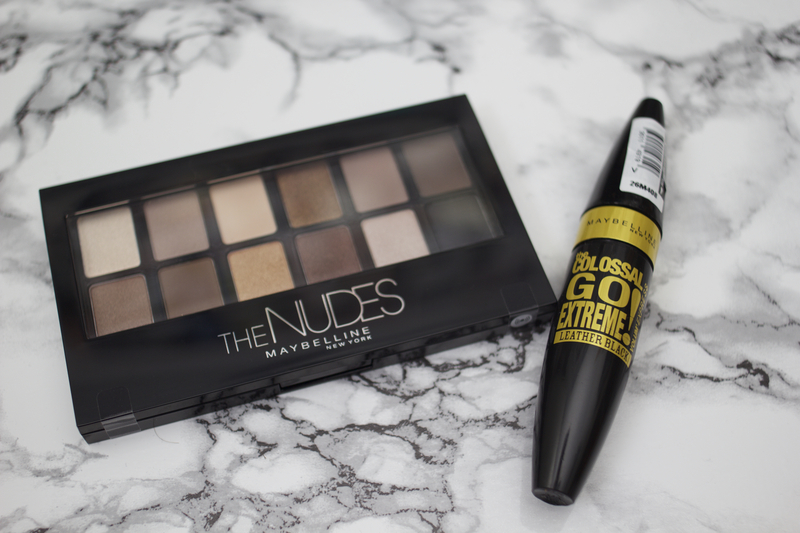 So anyways, a few weeks ago, she brought home the Maybelline The Nudes Palette and the Maybelline The Colossal Go Extreme! Mascara for us to try. Today I will be giving a quick review of the eyeshadow palette as I have given it a fair good try now and really want to tell you what I think. So first, packaging. I feel like for a drugstore eyeshadow palette, this packaging is okay, I mean it’s nice to be able to see the shades through the top and it’s very sturdy, but it’s not wow! To be honest though, this doesn’t bother me in the slightest, it does its job and thats all the matters. It’s whats inside that counts right? Next up, price! This retails for £9.99 which I think is exceptional value for money to say that you have 12 shades within this palette that are all completely wearable! It is easily accessible from Boots or Superdrug or even ASDA now I believe and for the amount of wear both Mum and I will get out of this it is such a bargain! So what about the shade range and quality? The selection of shades is simply beautiful! There are a variety of textures, all of which are really pigmented and very easily blendable! The main thing I love about this palette is that on the back of the palette, Maybelline have split the colours into ‘looks’ for you to make it easy! I love this as despite being a lover of eyeshadow, I like it when someone suggests colours to use together so I don’t have to think about it! Lazy I know! You can decide whether you want to use four shadows, three or two and they have created loads of combinations for you! Honestly, you can create so many looks with this palette its amazing! Would I recommend it? 100% yes if you love eyeshadow, or are wanting to try it for the first time, this is the perfect palette for you! They couldn’t have made it easier to create fantastic makeup looks with very minimal effort! The only thing I would say is that rather than a little brush, there is just one of those rubbish dual ended sponges that do absolutely nothing! If you are starting out, get yourself a good set of makeup brushes like the Lamora ones that cost under £12 and you are good to go! Have you tried this palette and if so, what do you think of it? This looks like such a pretty palette! So nice to see more drugstore brands doing full palettes now! Nice to have affordable options! Wow, your mom sounds awesome! Loved the review. I will have to try this palette out now! Omg I have that mascara and I absolutely hate it lol. Usually I’m a massive fan of Maybelline but I was so angry. Worst thing is I had ran out of mascara so I had no choice but to use you. Anyway, great review on the palette. I’m yet to venture out of the £6 palette that I currently have. It’s lasted me a long time!